Online reviews are extremely important for any business, no matter what industry you may be in. 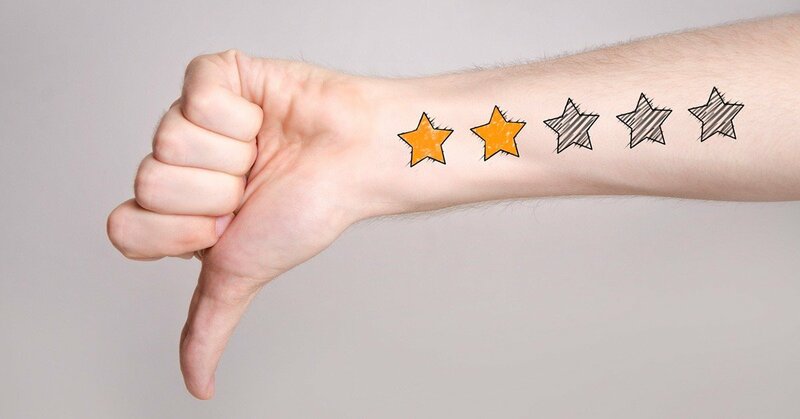 Most small to medium companies know first-hand just how devastating a bad online review can be, yet most business owners don’t know what to do when they receive one. The first thing to remember is that you shouldn’t panic. Bad reviews can happen to everyone, however, what matters most is how you react to those reviews and how you rebound from them. Here’s how to recover after a poor review. Respond. You should never ignore a bad review. Instead, you should engage with the customer who left the review and respond to the complaint. When you respond in a courteous and professional manner, it is out there for everyone to see. You should respond to every review as it is a great way to engage with your customers. There should be a standard response to every review, and you should take the time to personally respond to negative ones. Get back to the reviews in a timely manner. Just responding alone isn’t enough. You also need to make sure that you get back to the negative reviews quickly. If you receive a bad review, respond in 24 hours or less. You can set up an email notification that lets you know when you have received negative reviews if you are worried about staying on top of these. Be accountable. When you get back to the customer, it is important that you not only respond and do so in a timely manner but that you respond in the right way. Don’t go on the offensive, respond, apologize, act professional and address their concerns. You need to take responsibility for the issue, even if you don’t agree with their complaint. Try to solve the problem, if possible. Once someone has had a bad experience, you can’t go back and prevent it from happening. You can, however, try to solve the problem. Don’t overthink things. The easiest approach is to replace the faulty product or the bad experience. Offer them a free replacement product or their next service for free—it is an easy fix, and since everyone on the review site will see your response, you are showing the public that you do your best to make sure that every customer is happy. If you have more questions about rebounding from a bad review or want professional help with reputation management, then contact the experts here at Life In Motion. We can help you with all of your reputation management needs and make sure that bad online reviews don’t impact your business and all of the hard work you’ve put into your company.